Millennial demand for homeownership was one of the biggest trends influencing the housing market in 2018. 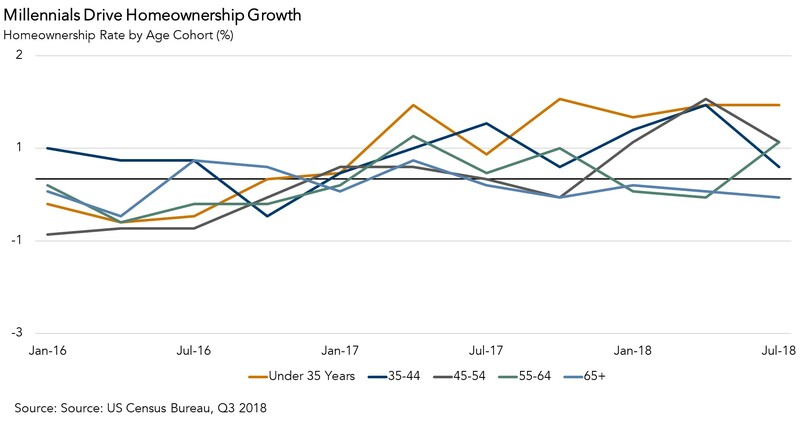 Households under 35 years old contributed the most to overall homeownership growth in the third quarter of 2018, with millennial homeownership rising 1.2 percentage points from last year. This trend shows no indication of reversing in 2019. In fact, as more millennials age into their early-to-mid thirties, and begin to get married, have children and form households, they will continue to be the primary drivers of homeownership demand. Lifestyle Choices: Millennials have delayed marriage and having children in favor of investing in education, pushing marriage and family formation to their early-to-mid thirties, compared with previous generations, who primarily made these lifestyle choices in their twenties. In fact, according to Census data, in the 1970s, eight in ten people married by the time they turned 20. Today, the same level of marriage does not occur until the age of 45. Delayed lifestyle choices delay the desire for homeownership. 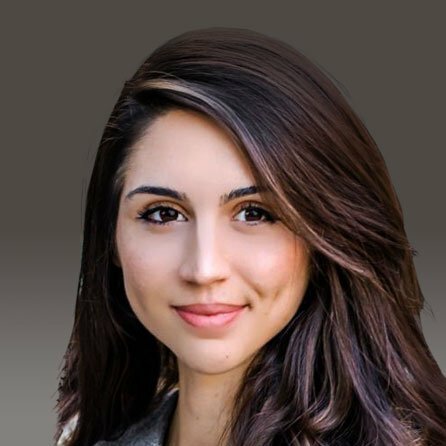 Lingering Impact of the Great Recession on Attitudes Toward Homeownership: Because they grew up in the wake of the housing bust, millennials are less likely to consider homeownership as a means of building wealth and, therefore, choose homeownership based more on whether homeownership fits their lifestyle or not. Our research shows that, because lifestyle choices are the most important factors influencing the decision to become a home owner, it is reasonable to expect the homeownership rate for millennials to increase as more get married and form families. Since the end of the Great Recession, nearly 7 million new rental households have formed, compared to only 2 million new homeowner households. However, we’re starting to witness a change in the most recent periods, with surging demand from first-time buyers. The latest edition of the American Enterprise Institute First-Time Home Buyer Index shows that more than half of all the purchase mortgages originated by Fannie Mae and Freddie Mac in 2018 went to first-time home buyers. Aging and the lifestyle choices that come with it — particularly marriage and children – are important factors driving homeownership demand. That’s why millennials aging into their thirties, getting married and having children will have a profound impact on the housing market. According to Census Bureau and First American calculations, over the next 10 years, aging millennials are expected to purchase at least 10 million new homes. By 2060, it is estimated millennials will have produced more than 20 million first-time home buyers. Evaluated in the context of the factors above, it is not surprising that millennials currently have lower homeownership rates compared to previous generations. However, as more millennials get married and form families, millennials remain poised to transform the housing market. In fact, the housing market is already experiencing the earliest gusts of the tailwind.